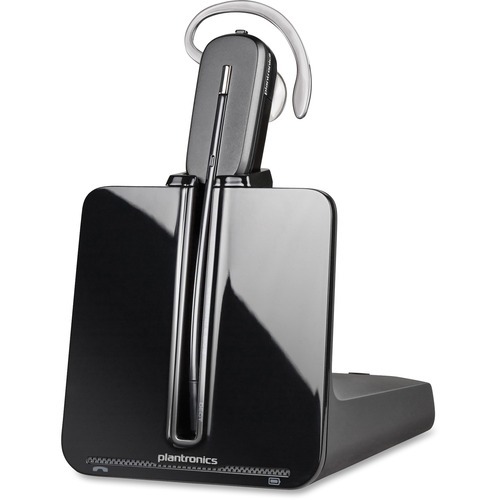 Plantronics CS540 Headset - Wireless Connectivity - Mono - Over-the-head, Over-the-ear, Behind-the-neck - Welcome to TABS! 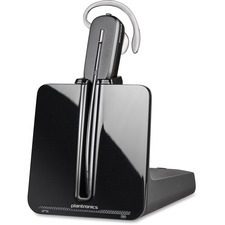 Wireless headset system connects to your office phone, giving you superior digital sound and multi-tasking mobility up to 350 feet away. Voice-dedicated 1.9 GHz DECT technology provides uncompromised audio quality, the lowest probability of interference, plus up to seven hours of talk time on a single charge. You can choose narrowband mode to preserve talk-time or wideband mode for clearer conversations. Wireless headset system connects to your office phone, giving you superior digital sound and multi-tasking mobility up to 350 feet away. Voice-dedicated 1.9 GHz DECT technology provides uncompromised audio quality, the lowest probability of interference, plus up to seven hours of talk time on a single charge. You can choose narrowband mode to preserve talk-time or wideband mode for clearer conversations. Extended boom and noise-canceling microphone filters out background noise so listeners can hear conversations clearly. Convertible headset gives you your choice of over the head, over the ear, or behind the neck wearing style. And you can conference in up to three additional headsets for enhanced collaboration.